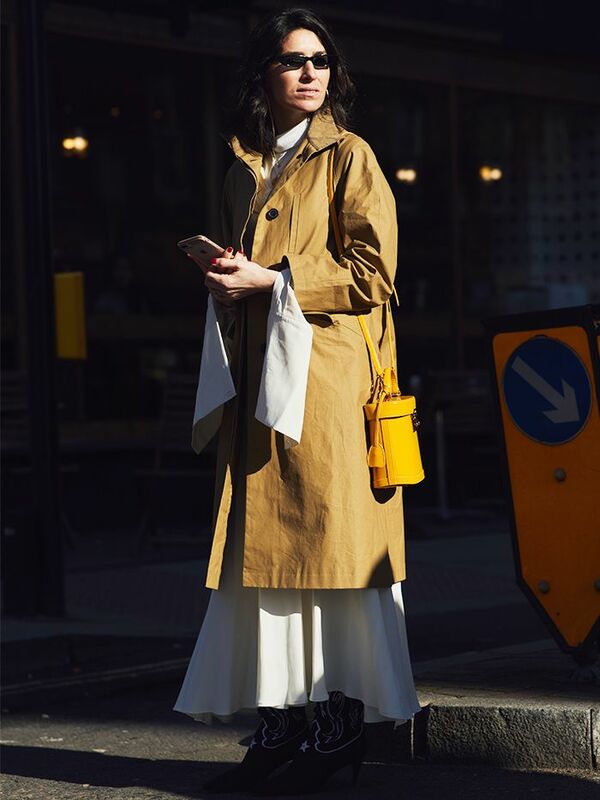 The style mavens from across the Channel have taught us a lot about how to dress, and they continue to inspire our wardrobes on a weekly basis. This week's French lesson? The jumpsuit. And in particular, right now, we all know the one they're jumping to buy when it lands again this morning—Sézane's Bennie jumpsuit for £127. Two key girls have kindly alerted us to the brilliance of this utility-style onesie: both Alex Stedman and Anne-Laure Mais have cherry-picked it as the key buy from the French label's latest drop. And we can see why: drawstring wait (comfy), khaki green colour (suits everyone, but it's also going to be available in cream), button detailing (making it very now) and cropped above the ankle for maximum shoe exposure (always welcome). So be quick and log onto Sézane before they all go. If you're still on the fence about the whole all-in-one thing this summer, let this cult item and the below inspiration be your persuasion. Easier to wear than a dress and 10 times more practical, most jumpsuits have the inexplicable attribute of being able to work with both casual trainers and smart heels—whether they're made from denim, printed cotton or a more luxe fabric. Pick a style with straps and you're spoilt for choice with what to layer underneath; opt for a boiler-suit iteration and you needn't think about anything else. The French girls in the gallery below can teach us a thing or two when it comes to styling specifics—the main rules being don't try too hard and don't forget that bit of Gallic insouciance. Keep on scrolling for the most flattering jumpsuits around. See? Hands down the most hardworking item of clothing you'll own and more nonchalant than a frock. The sun may not be included upon purchase of this Rouje style, but care-free hair, espadrilles and a micro handbag are what we can all aim to accessorise with. Jeanne Damas's jumpsuits are beautifully cut. Cute with or without a tee underneath. Ditsy-syle prints are an ingenious way to flatter your figure. Proving that a denim jumpsuit needn't equal dungarees, Marie shows that you can make a jean onesie utterly chic by adding metallic accessories and a splash of tweed. Don't forget—light-wash denim can be just as brilliant as blue. This is the ultimate wear-forever denim onesie. We're in love with Anne-Laure Mais's burnt orange boiler suit. It makes enough of a statement worn solo, save for a slick of mascara. This is a 365-days-of-the-year kind of option. The one we're all talking about. Next shop the mid-priced brands that are huge on the scene right now.